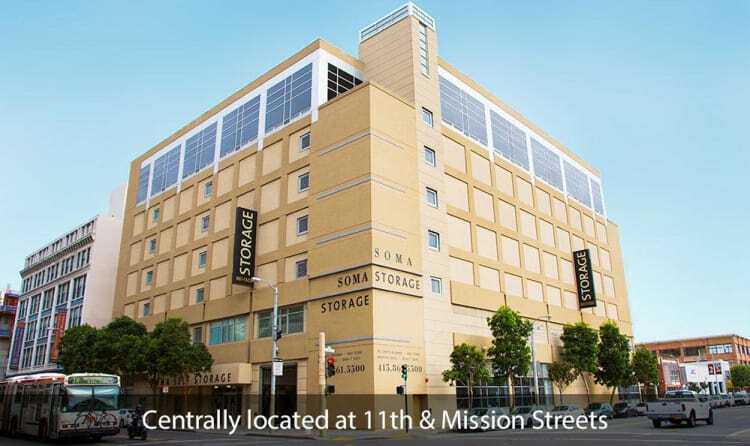 Conveniently located on the corner of 11th Street and Mission Street, in the heart of downtown San Francisco, SOMA Self-Storage is dedicated to serving the local community with storage solutions for homes, apartments, businesses and more. 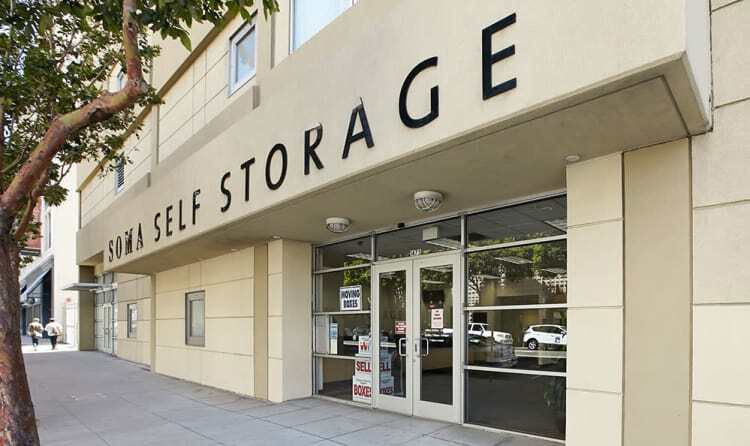 We offer the SOMA Self-Storage advantage - San Francisco's new standard for personal storage. *Weight and time limits apply. 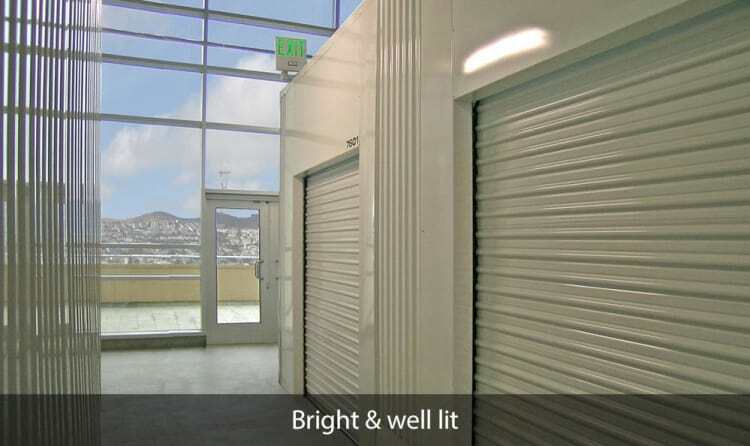 We are a state of the art facility with many types and sizes of storage units in a clean and safe environment. 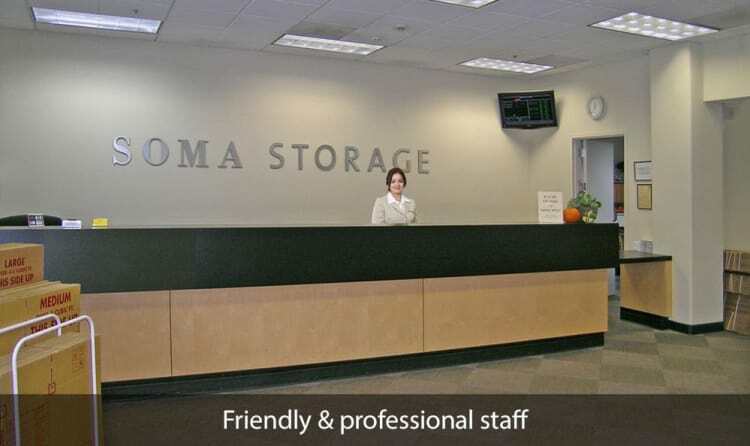 Whether you are moving into a new home, are a part-time San Francisco resident needing temporary item storage, our friendly management staff is here to help you along the way. 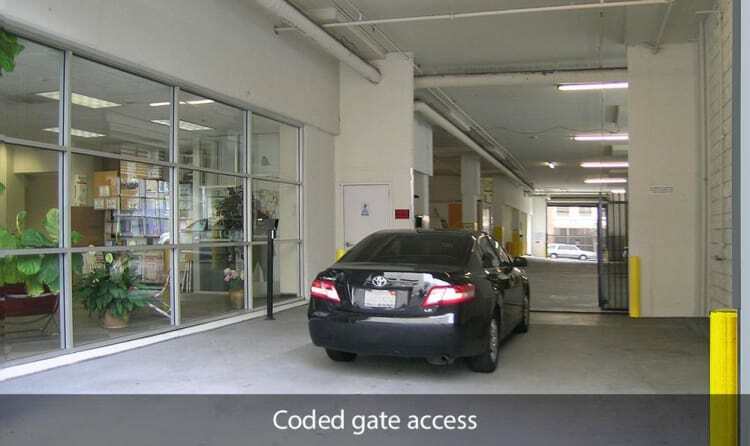 Each of our units are individually alarmed and the​​ facility is under 24/7 video surveillance for the protection of your items. 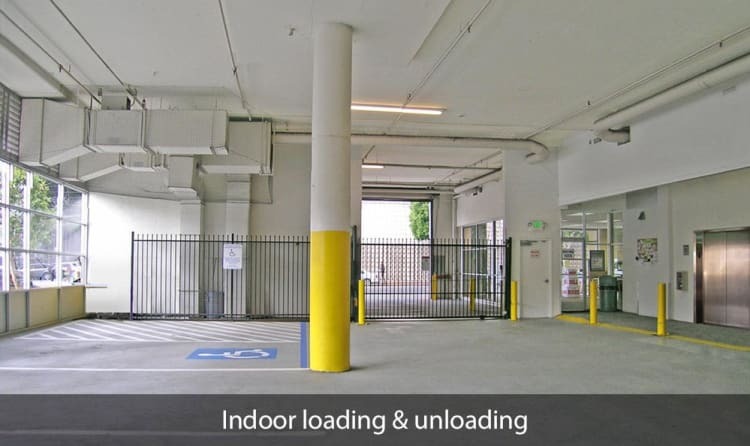 The facility features coded entry, a secure loading area with a large 13’ ½” clearance, and high-speed freight elevators to help move your items in and out quickly and easily. 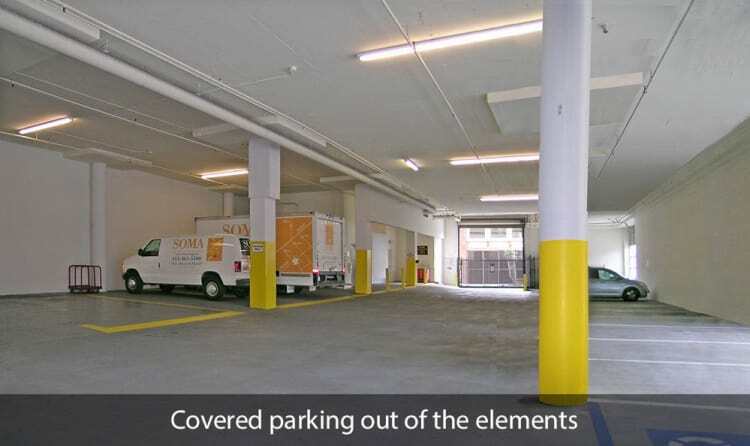 Free Move-In Truck or Van Rental* when you rent with us to make your move as easy as possible. 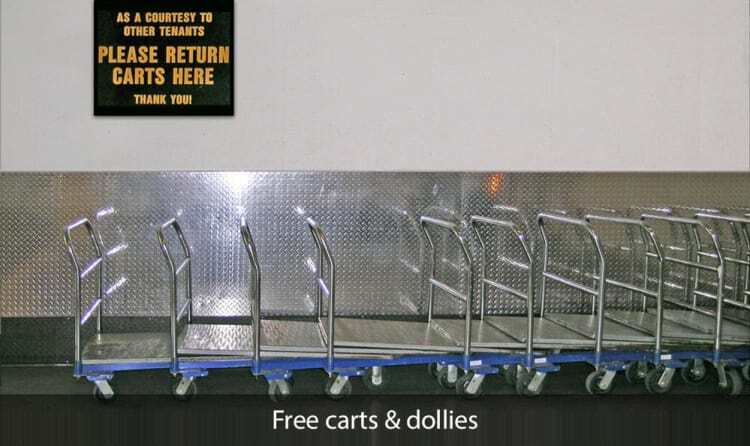 Free Carry-In Service* by our staff to unload your items and help you move into your storage unit. 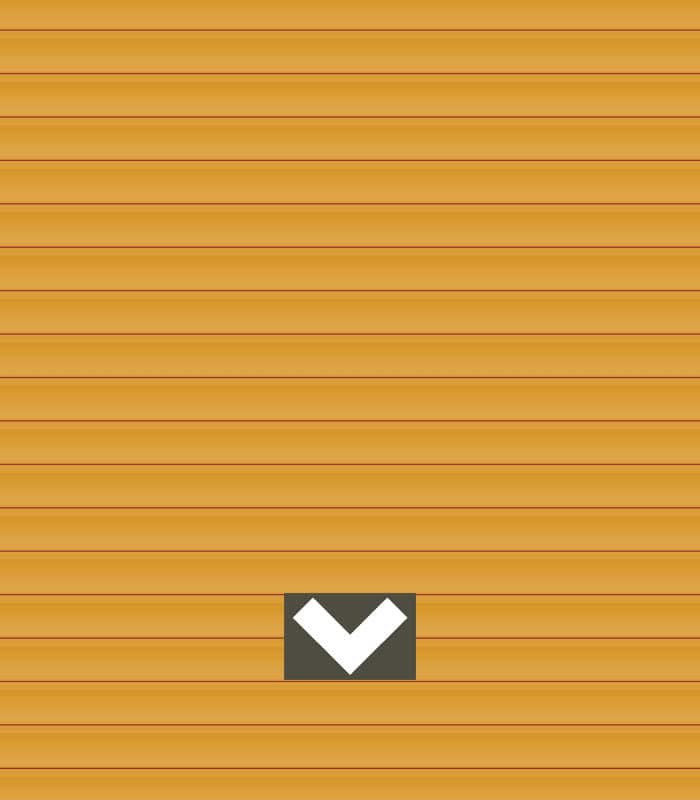 Free Help Selling Your Stuff we will work with you to help sell things you don’t want to hold on to anymore. Have a Facebook or Google account? 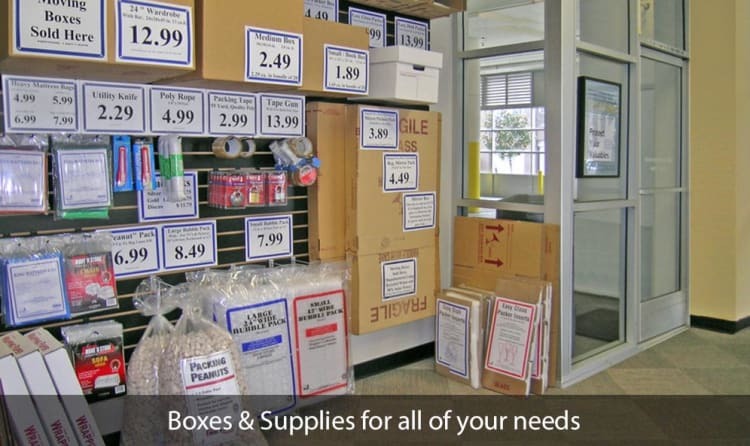 Follow us @SomaSelfStorage for additional tips and tricks for your storage and ways to stay organized at home.